To celebrate the home of the Best Brandy in the World – KWV – Feed That Bird hosted a KWV Brandy evening with media, influencers and top sommeliers at Sorbet Man at the Cape Quarter. 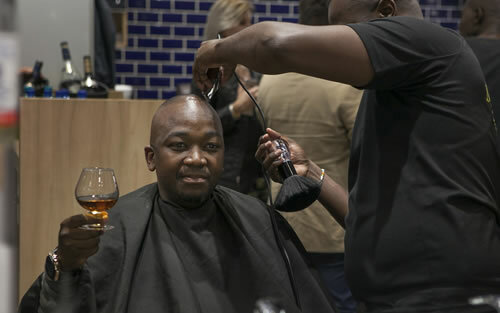 Guests were treated to a hot-towel shave and other treatments, while also having the opportunity to taste KWV’s award-winning brandies with KWV Master Distiller, Lourens Stander. The guests on the evening were young and energetic influencers – in the social, hospitality and editorial industries – who appreciate that appearances are important in their daily lives: how you look, but also what you are seen to consume and enjoy, and the KWV Brandy and Barber experience ticked all the boxes!